After finishing up the year’s last conference call, the last email, the last spreadsheet review, and while East Coast monkeys were queuing up for a good spot in Times Square, Kongo headed out to Sunset Cliffs in late afternoon to capture the last sunset of 2013. As the image above suggests, that didn’t work out so well. 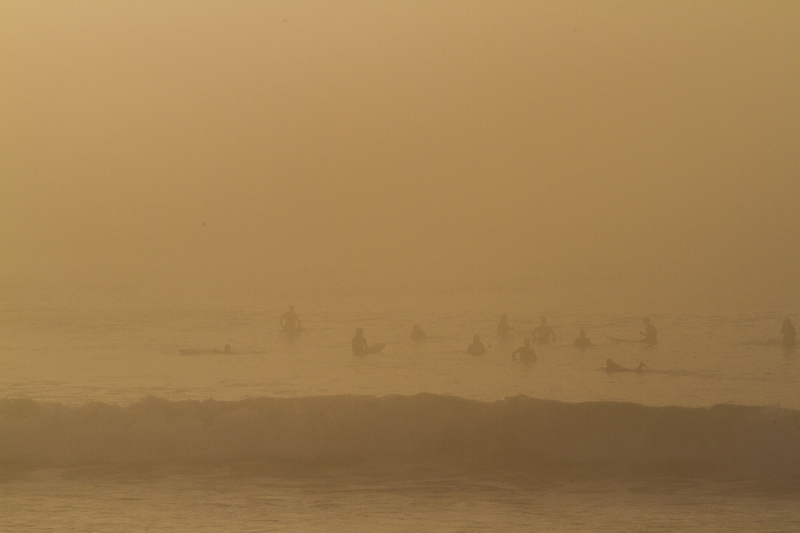 But there were other good things before the fog rolled in. Read on to see. 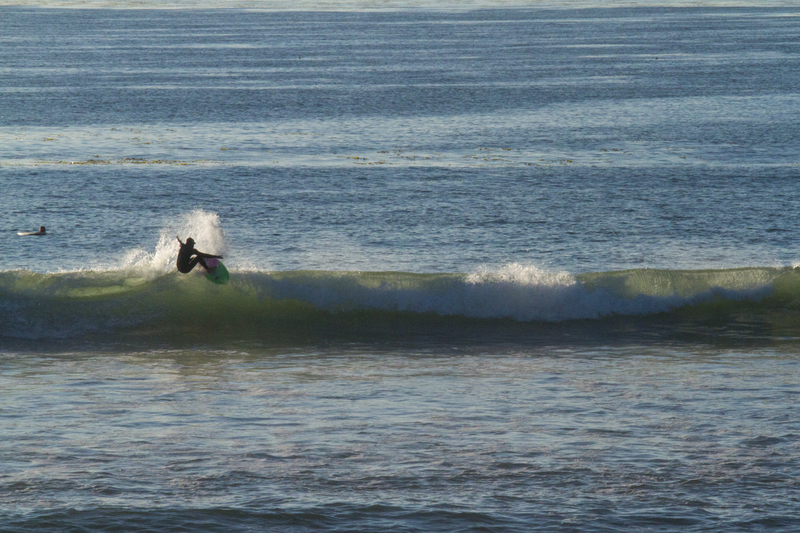 A surfer checks out the waves off Sunset Cliffs before climbing down the rocks to catch the surf. The late afternoon started off perfect. Sure there was a fog bank hovering about 5 miles out but that’s not unusual for this time of year. The monkey was sure that it would just add an interesting sky as in the last 30 minutes of daylight. The fog bank had other ideas but before it photo-bombed the sunset there were interesting shots to be had under a warm afternoon sun. 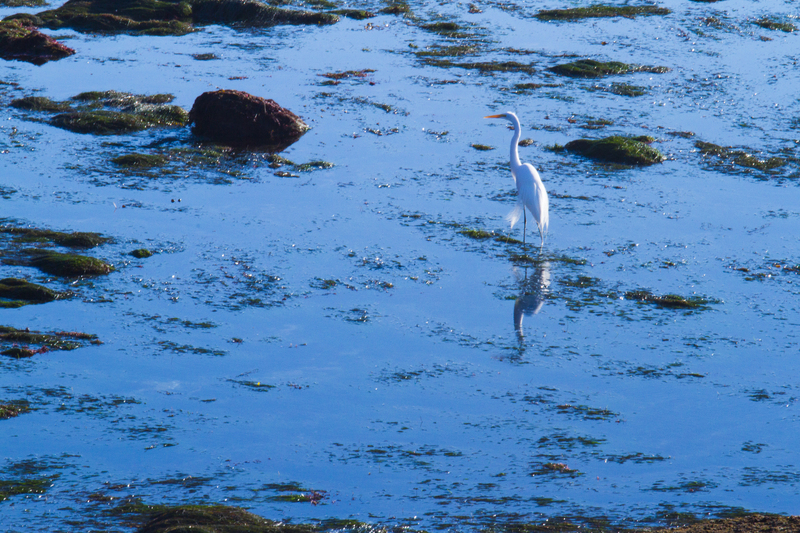 An egret searches for its New Year’s Eve dinner among the shallows by Sunset Cliffs. 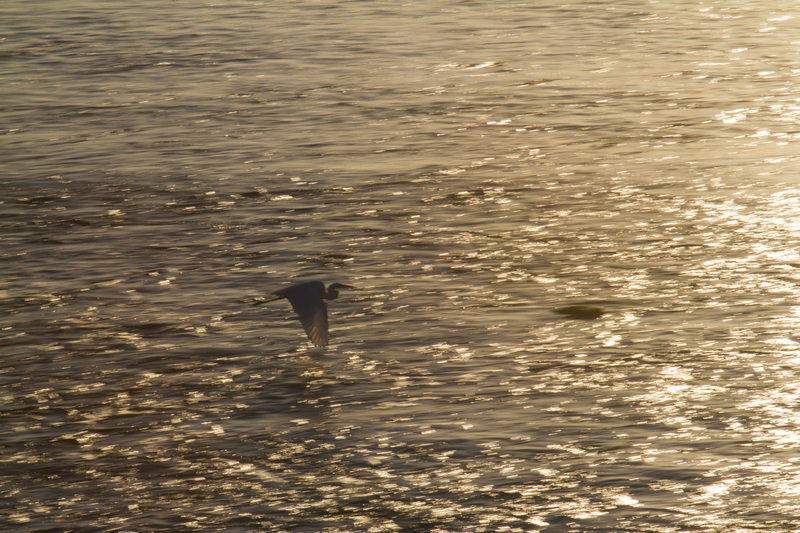 As the egret above took off into the last few moments of sunshine in 2013 before the fog seen in the first image arrived, Kongo packed up his gear and headed home to change clothes for dinner out. It was a good year, all in all. But like all years there were plenty of speed bumps along the way. Now that 2013 is in the rear view mirror, the monkey is looking forward to more travel and adventures in 2014. Monkeys always think the future will be bright and not foggy! Travel safe. Have fun. And best wishes for a happy, healthy, and prosperous New Year! Lovely pics! Happy travels and adventures in the new year! You should have come to Hartlepool 🙂 Broaden Kongo’s education? Happy 2014 to you too, Jo! wow!!! that first shot is SWEET!!! Happy New Year to you, Kongo!!! Thanks, Stephen and Happy New Year to you as well!